Graphics from NOAA that show the drop in area temperatures expected over the next day. While the Lebanon Valley was relatively spared from the true wrath of Winter Storm Harper, the massive weather system is leaving in its wake frigid temperatures that will make their way through the area on Monday. The National Weather Service is forecasting a high near 13°, with the system’s impact somewhat dampened by its coinciding with Martin Luther King Jr. Day. Area school districts and most municipal offices will be closed tomorrow. Wind chill values are expected to be as low as -15° thanks to blustery conditions with winds reaching 16-22 mph and gusts of up to 36 mph. Freezing temperatures bring with them hazards that are important to be aware of. 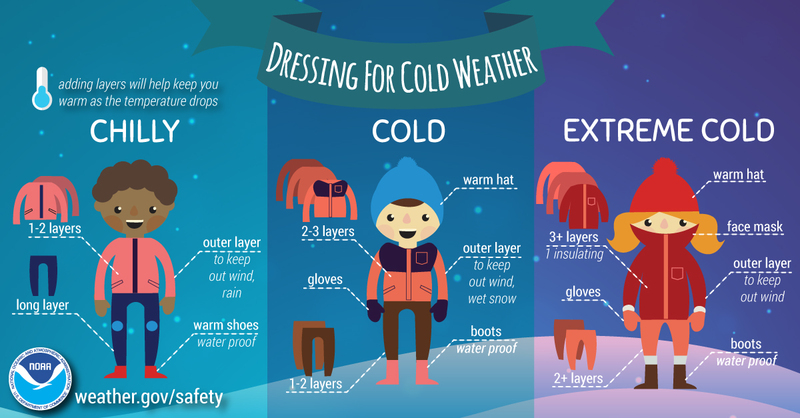 According to the National Weather Service, it only takes a few minutes for frostbite to set in, with the most prone areas being uncovered skin and extremities. Additionally, it’s important to dress warmly to and wear hats when outside to ward off the onset of hypothermia. Having the proper supplies on hand, especially in your car, is always a good idea too. Those with pets or livestock need to take additional precautions to be sure that the animals have plenty of food and water and are not overly exposed to the cold. Fortunately, the frigid temperatures won’t last too long as temperatures increase slightly on Tuesday to a high of 21° before ultimately reaching a “balmy” 41° on Wednesday.